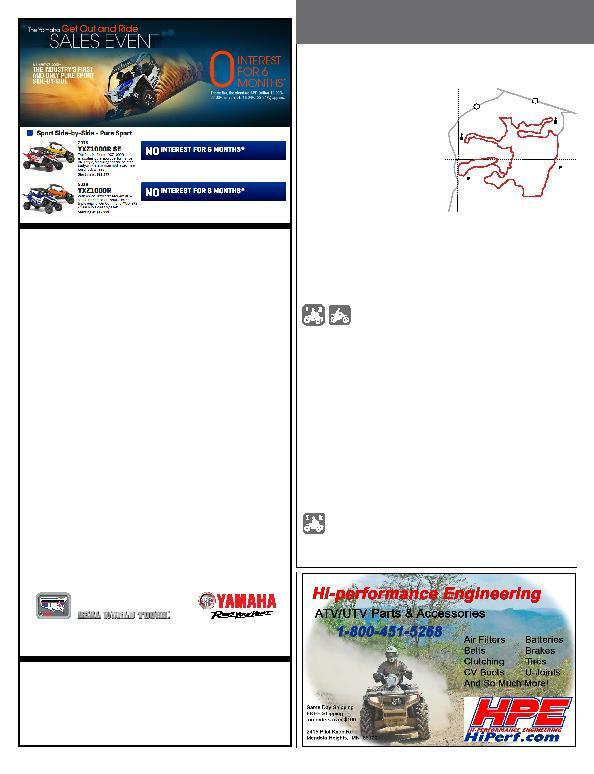 * Based on IHS Automotive, Polk total new U.S. ATV registrations that compete in the Yamaha defi ned 650cc+ Utility ATV segment for Calendar Year. Professional rider depicted on closed course. MORE PERFORMANCE. MORE POWER. MORE EVERYTHING. digital edition of Minnesota Offroad. the U.S., excluding the state of Hawaii. Interest Charge $1. Offer good only in the U.S., excluding the state of Hawaii. Up to $1000 Customer Cash - ** Customer Cash offer good on select models between 12/29/15 to 6/30/16. Road. (145th Street E.), then .6 miles east to parking lot on right. make a good observation deck. southwest on County Road 29.